Mr. Joseph H. Thigpen, 93, died Wednesday, August 10 , 2016. Funeral Service will be at 2:00 P.M. at the First Methodist Church of Williamston, N.C. on Saturday, August 13, 2016. Joseph "JoJo" Howard Thigpen, passed away on Wednesday August 10, 2016 at the age of 93. The funeral service will be held Saturday at 2pm at First United Methodist Church of Williamston. Born in Williamston, NC, on July 12, 1923, JoJo was the younger son of Dr. John Fleming Thigpen and Estelle Sumner Thigpen of Williamston, NC. He attended Williamston High School and attended Mars Hill College on a football scholarship. He enlisted in the Paratroops during World War II and served in the Pacific Theater with the Eleventh Airborne Division, Sixth Rangers Battalion where he served at Gen. MacArthur's personal bodyguard. He served honorably and received recognition for holding the record number of 218 jumps during his 32 months of service. After the war, he graduated from the University of North Carolina at Chapel Hill with a B.A. in journalism. While attending UNC, he served as assistant boxing coach and was a member of the monogram club. Upon graduation he was employed at Davidson College as Sports Publicity Director and Director of Student Placement. On November 27, 1948, he married Ellen Taylor, who joined him at Davidson College. A career change to First Securities Corporation relocated him to Ahoskie, N.C. where he and Ellen started their family and had three children: Joel, Jenny and Janet. They soon moved to Williamston to be nearer family and have resided in Williamston, happily married for almost 68 years. He later joined Interstate Securities as Regional and then Senior Vice-President. He was an active and faithful member of First Methodist Church of Williamston. He loved his community and country. 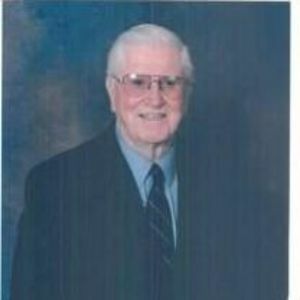 He served as county commissioner for ten years. He was interested in all sports, political issues, and the well-being of his friends and neighbors. He loved his family, which included five grandchildren and five great-grandchildren. For the last twenty years, he was a dedicated trustee of the Francis Barnes Memorial Trust, for which he worked to benefit Martin County. He was preceded in death by his brother, John Fleming Thigpen Jr. and son-in-law, Dr. John Franklin Mills. Surviving are his wife, Ellen Taylor Thigpen; her son, Joel Taylor Thigpen (Pam) of Raleigh, N.C.; his daughters Jennifer Bryan Thigpen of Greenville, N.C., and Janet Thigpen Mills of Henderson, N.C. He is also survived by 5 grandchildren, Benjamin Mills, Taylor Winters (Jeremiah), Joanna McKnight, Joshua Thigpen (Mandy), and Michael Thigpen (Shannon) and 5 great-grandchildren, Henry, Callaway, Lindley, Mills and Mia. In lieu of flowers, memorials may be made to First United Methodist Church of Williamston, 114 East Church Street, Williamston, NC 27892.